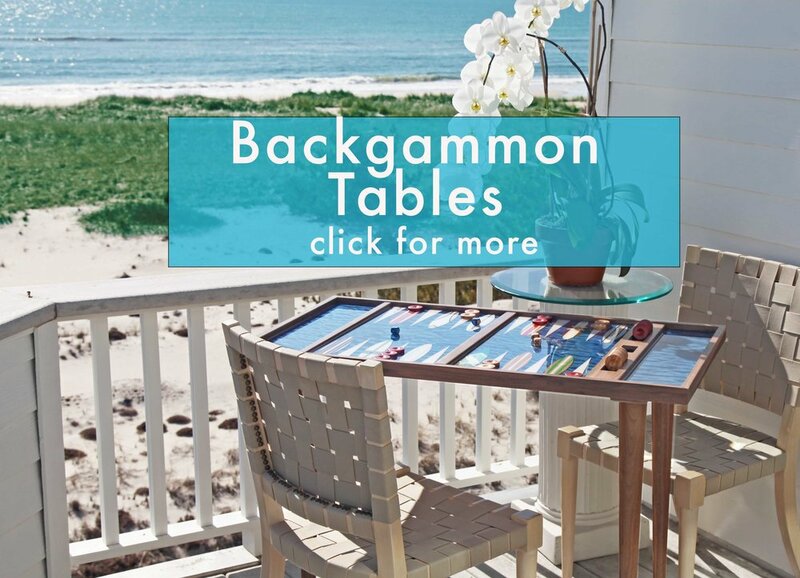 Truly unique, custom backgammon boards and backgammon tables. As much pieces of art as they are luxury backgammon sets. Finely hand-crafted with top quality materials. Totally unique. Enjoy the world’s oldest game in style. 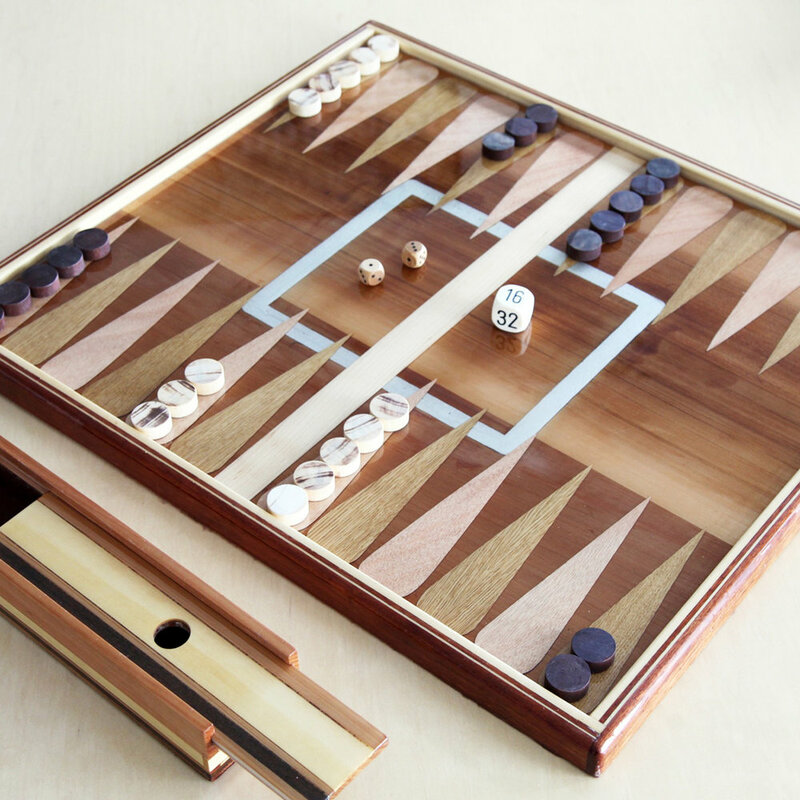 Jean-Michel, working in his atelier, Studio Jean-Michel, is an artisan who gives an elegant and whimsical twist to his bespoke backgammon boards and tables. Featured in fine art galleries in Southampton and Quogue, NY, and on the pages of high-end magazines like Hampton's Cottages & Gardens and Behind the Hedges. Enjoy exploring this site to see the fruits of Jean-Michel’s passion for quality, originality and detail. 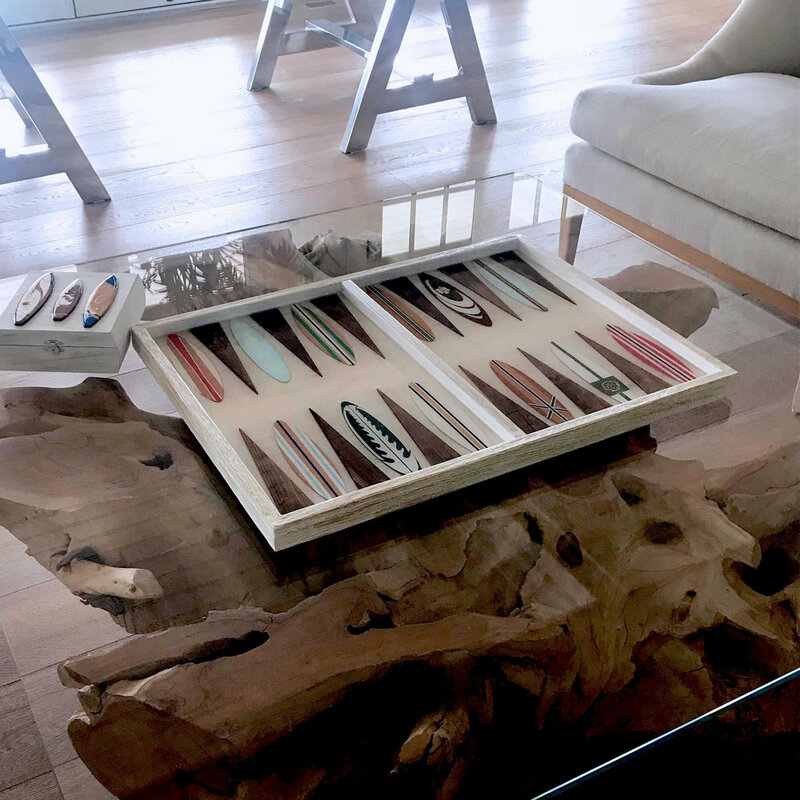 Made with unexpected and luxurious materials and exotic woods, every detail of each backgammon board or table is painstakingly conceived of and handcrafted by Jean-Michel, requiring several weeks to complete. 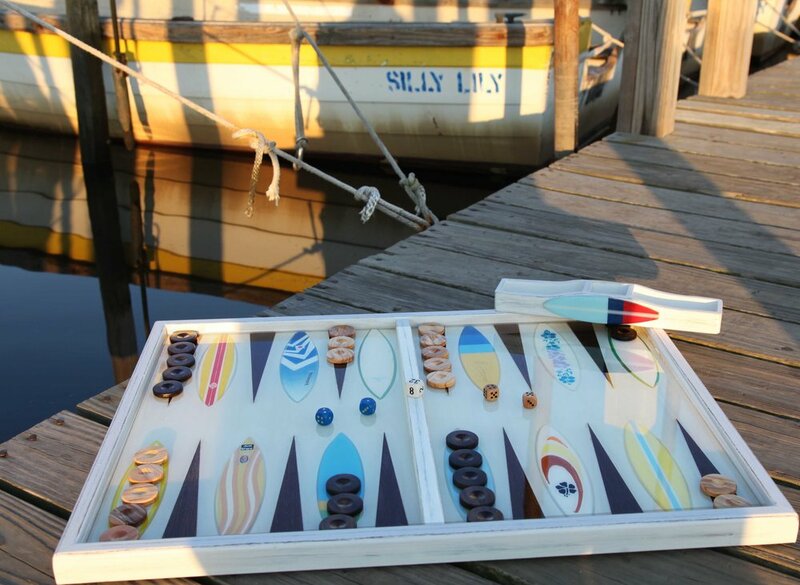 His clients enjoy these exquisite pieces as decorative art, wall art, poolside trays, and of course, for playing this timeless game. Jean-Michel especially enjoys customizing and adding special personalized touches to his work so that each piece has a very special meaning to it’s owners.